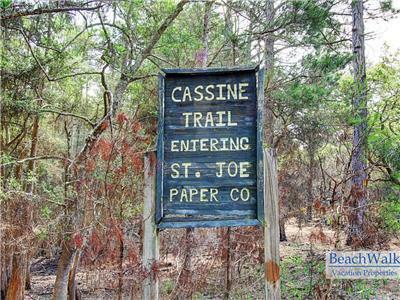 Located at the edge of the Cassine Garden community adjacent to the St. Joe Nature Trail, the location emanates a feeling of undisturbed beauty and simple living. 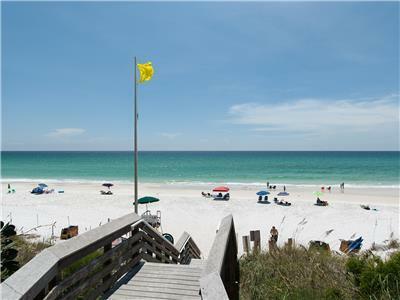 Beach Access: The beach access for 'Seaclusion' is the One Seagrove Place Beach Access located 0.4 miles from the home. 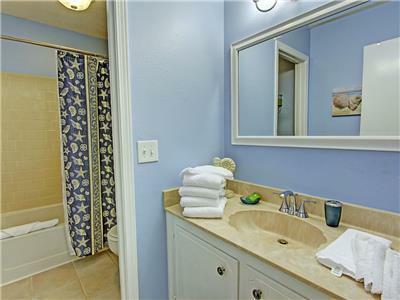 Upon entering the home, you are greeted by a fully equipped kitchen and living room with a 42” flat screen T.V. with DVD/Blu-ray player and pull-out couch. Continuing through, the back porch holds a patio table with 4 chairs and is enclosed with a removable screen. The home backs up and overlooks beautiful indigenous woodland that provides a sense of privacy. Upstairs, the second floor holds a full bathroom, master bedroom, and children’s bedroom. 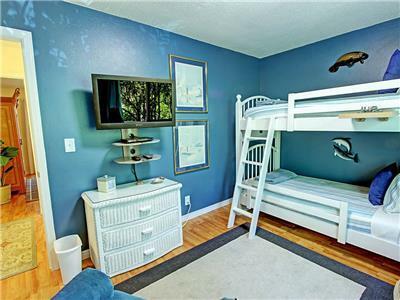 The children’s bedroom holds twin bunk beds, 24” flat screen T.V. with DVD/Blu -ray player, and a small play nook in the closet. 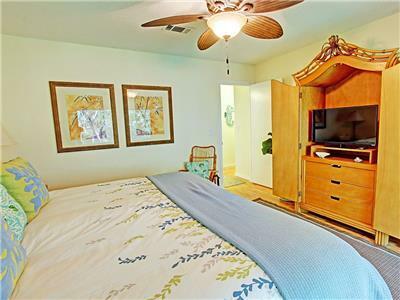 The master holds a king size bed, 32” flat screen T.V. 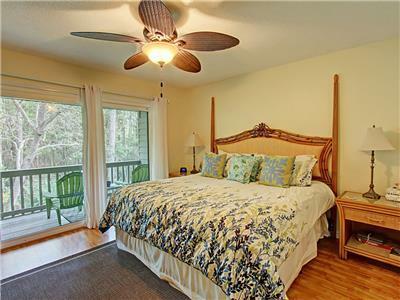 , with DVD/Blu-ray player, and a balcony overlooking the natural woodland below. The master bedroom and living room televisions are “Smart T.V.’s” with WIFI capabilities for access to your personal Netflix, youtube, or Hulu Plus accounts. 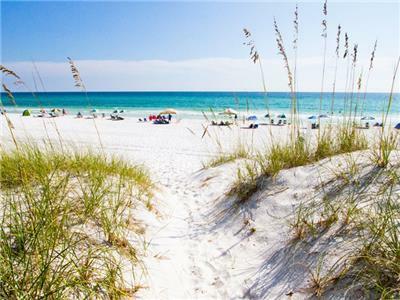 Complimentary amenities include toilet paper, paper towels, dish soap, hand soap, dishwashing detergent, laundry detergent, trash bags, coffee kit, towels, and linens. 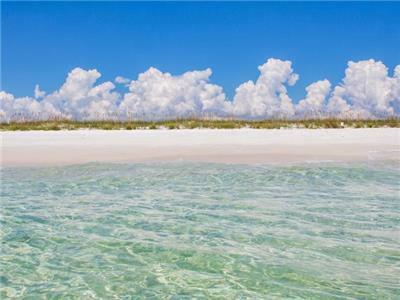 All you need is your toothbrush and a bathing suit. 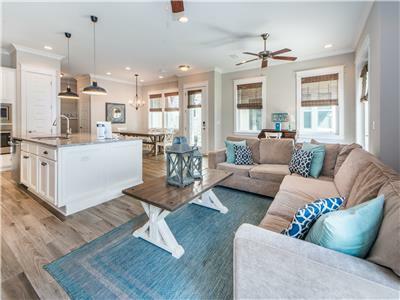 Recently updated and centrally located on highway 30A, ‘Seaclusion’ is within minutes from the beach, various restaurants and unique venues that make up the 30a lifestyle. 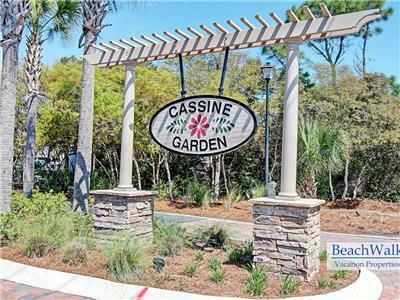 The Cassine Gardens community offers two pools, a tennis court, basketball hoop, fishing ponds, as well as nature trails and bike paths that wind through the undisturbed natural beauty of the area. 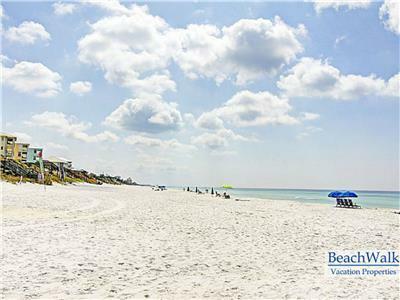 If you’re in need for a beach vacation to achieve maximum relaxation, then ‘Seaclusion’ is your solution! 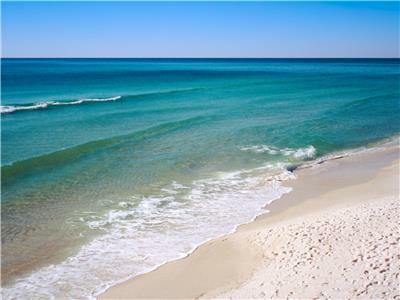 Seagrove Beach All Seasons Attraction 1.48 mi. 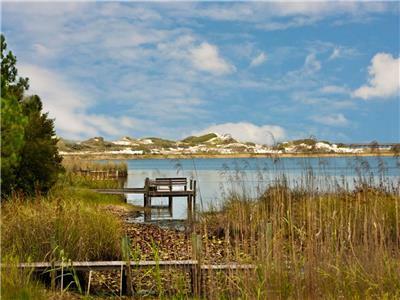 NatureWalk All Seasons Attraction 1.50 mi. 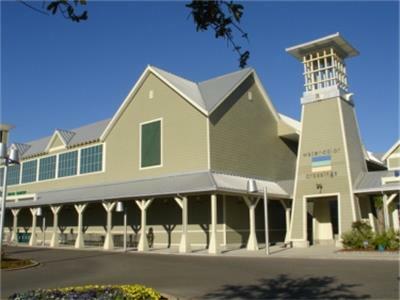 Publix Supermarket at WaterColor Crossings Grocery Store 1.67 mi. 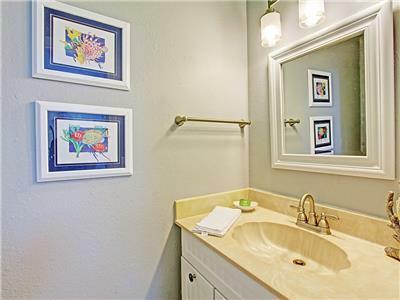 WaterColor	 All Seasons Attraction 1.96 mi. 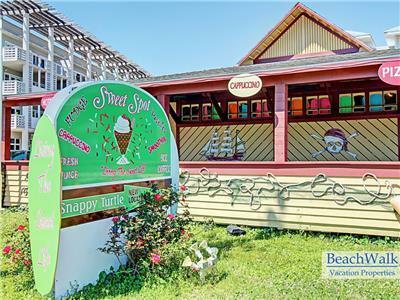 Seaside	 All Seasons Attraction 2.10 mi. 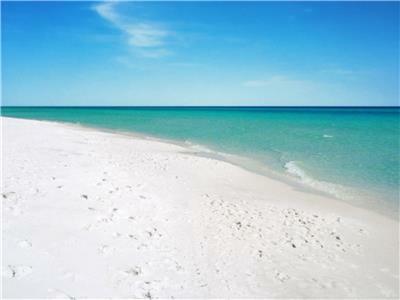 Grayton Beach All Seasons Attraction 3.77 mi. 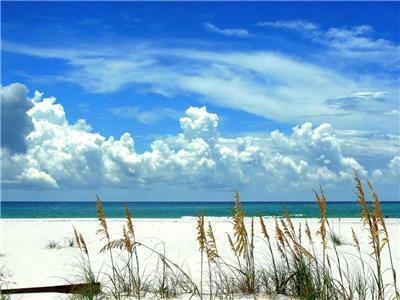 Seacrest Beach All Seasons Attraction 4.21 mi. 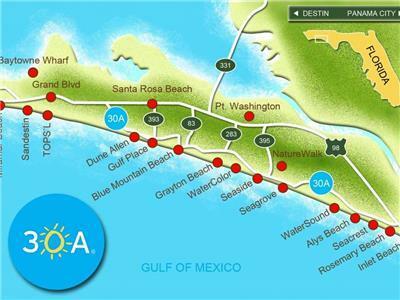 Alys Beach All Seasons Attraction 4.87 mi. 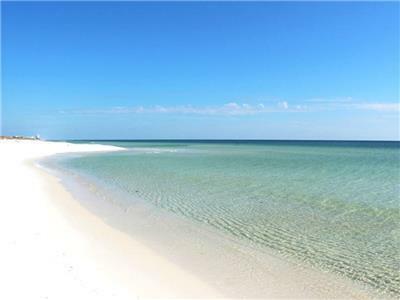 WaterSound	 All Seasons Attraction 4.88 mi. Seacrest Sundries Restaurant 5.57 mi. Nice, quite area. That’s exactly what we were looking for. Convenient location. Beautiful view to the forest from master bedroom and living room, clean house, we found everything what we needed in a kitchen. We love it. Close to the beach, we walk every day. Close to the shops, restorans. 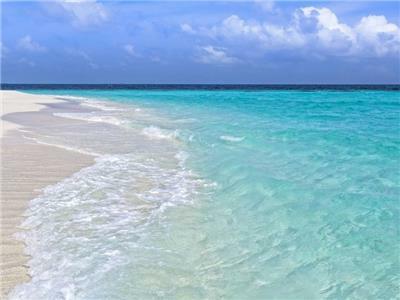 We love this beach - crystal clear blue and white sandy beach. 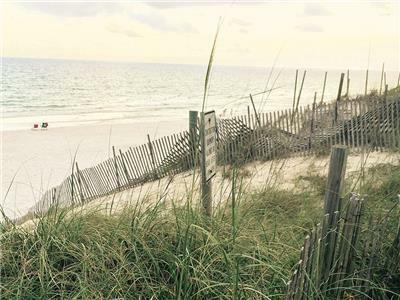 The unit has all the beach stuff you need for the short walk to beach. We have stayed here a few times and love it. Family friendly with room for everyone. 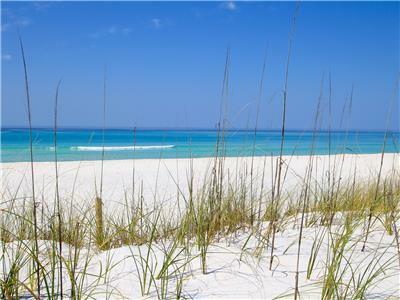 We love that is on 30A so close to everything but not in the middle of the busier areas. There are also pools here and next to beach rental and beach shop. We enjoyed our weekend so much! 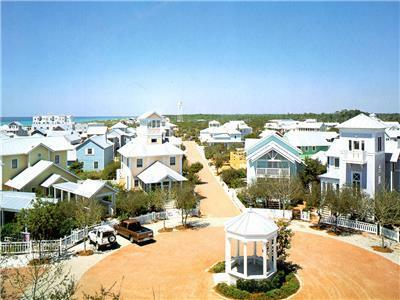 A very quaint area and beach! 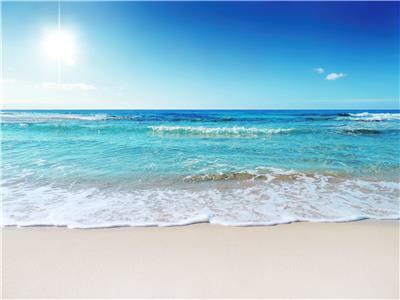 A very relaxing time at the beach! Perfect, perfect, perfect!! Location/convenience/this place has it all! My mother, 10 year old daughter and I stayed here over Memorial Day weekend. This place was absolutely charming, the perfect size, had all the conveniences you need and I can’t say enough about the location! 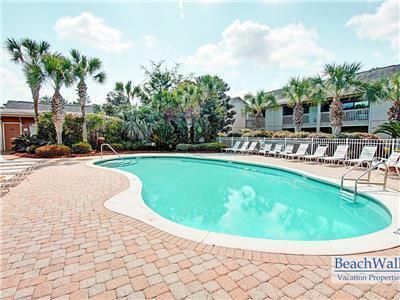 Close to the beach, close to the pool, close to the walking trail! 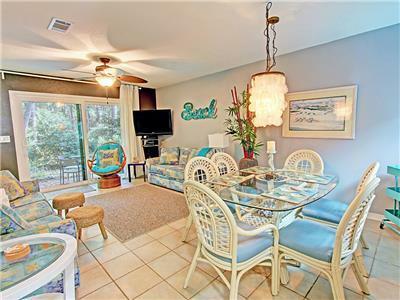 It’s decorated so cute with the beach theme everywhere, has two great patio/balcony areas and it a nice quiet area yet still so dang close to everywhere you would want to go. There was not ANYTHING that we needed during our stay that was not supplied in the fully equipped kitchen. 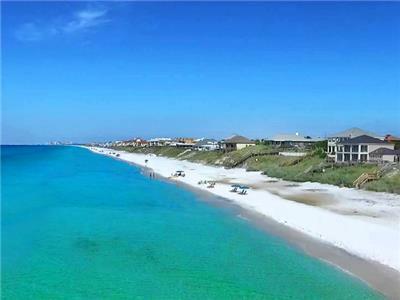 This section of beach/neighborhood is just amazing! 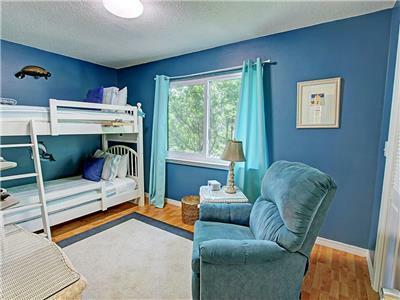 A great family friendly area! If you are looking for an affordable, quiet, convenient place to stay.....look no further! I will definitely stay here again! 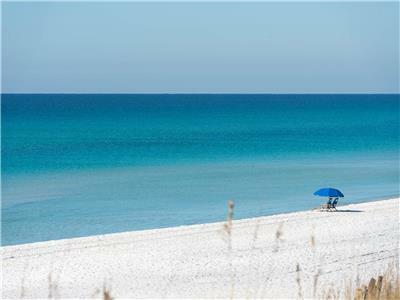 Tips: bring your own beach towels and chairs, and don’t plan on using the washer/dryer....it’s a pain, but the owners left a very sweet note letting us know that and where we could go to do laundry. The check in, door code, check out process is a breeze! 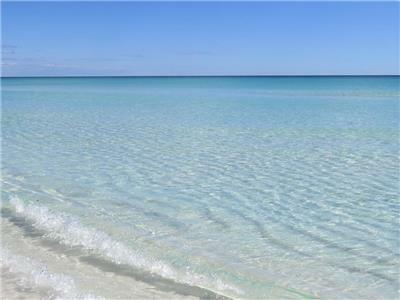 Family friendly & best of both worlds: secluded Cypress gardens & beautiful white sandy beaches!! We absolutely loved this place! It fit our family of 5 perfectly and had everything we needed plus more. 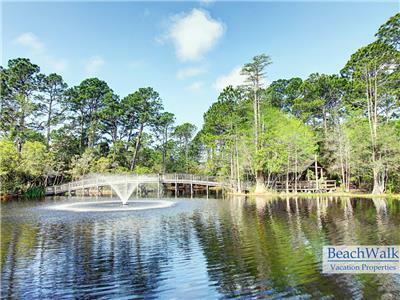 We enjoyed walks on the beautiful boardwalk through the breathtaking cypress gardens and the pool area was so nice and right around the corner! 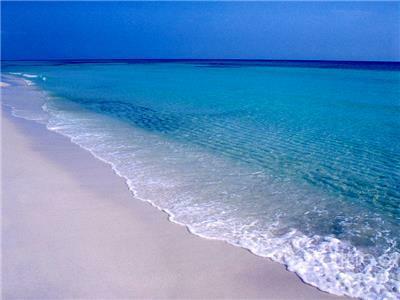 The walk to the white sandy beaches and crystal clear turquoise waters was perfect! We very much appreciated the front outside closet full of beach supplies!! 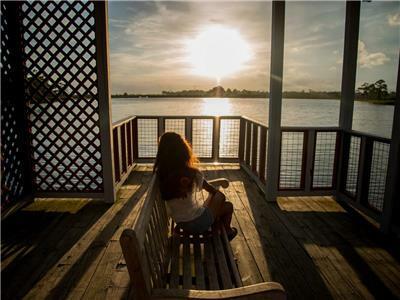 This place is just a short bike ride to the beautiful Eastern Lake waterway, where we caught a plentitude of crabs, including hermit and blue crabs. The kids loved that!! We got used to the European style washer/dryer combo. We just ran a small load every night and hung up any damp clothes on the backs of the dining room chairs. That may not work for every family, but we didn't mind! 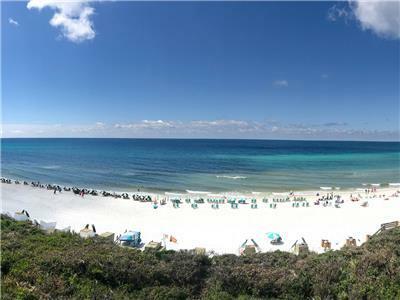 This was our first time to the beaches of 30A and we cannot wait to come back! Hopefully in the fall!! 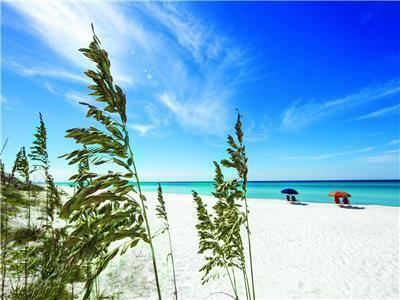 If you need any tips on a good time to stay, we were here the first week of May and the weather was amazing! It got pretty hot the last part of the week, so we may even come in April next spring. The beach was so quiet and roomy! I hear October is a great time to come as well!! Maybe we'll be back then!! 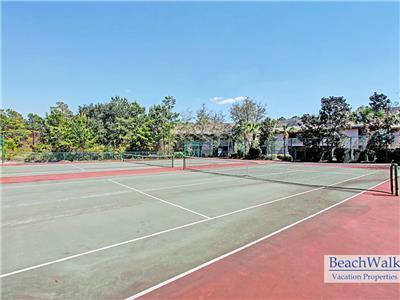 Very quiet property that’s still within walking distance of everything! Very child friendly, pretty decor, just right! Great, nice alternative for not being on the beach. Loved the dirct access to the state park. We rode and ran the trails everyday. And the walk to the beach was very close, best of both worlds. We had a very comfortable stay. 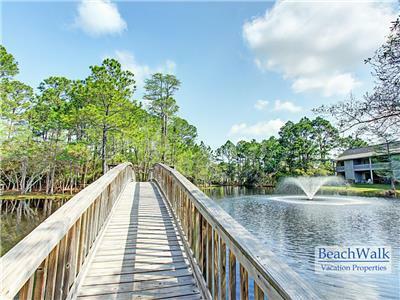 We thoroughly enjoyed the walking trails directly behind the condo and appreciated its convenient location near the beach. It was just what we needed! Amazing bang for the buck! 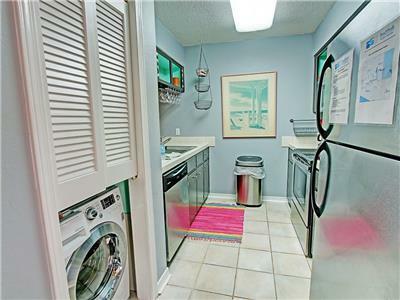 This is a well maintained and clean condo. We stayed here with our small children and it was perfect. 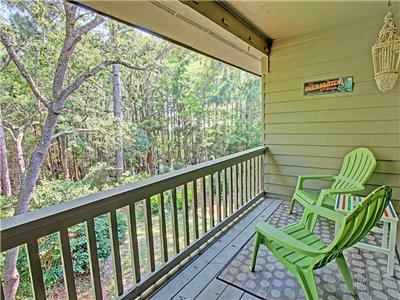 The view of the woods off of the back porch really helps the vacation vibe instead of a parking lot! 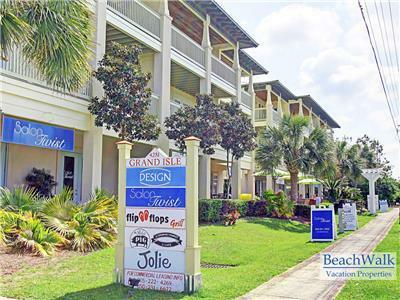 It is a close walk to the beach or you can drive to the front of the complex for complete convenience. Nearby restaurants make it easy for a quick bite. 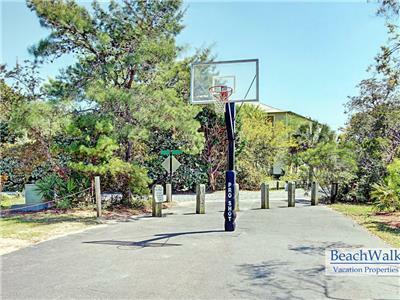 Property was very clean and close to beach access. Had a problem with the condo and management took very good care of it and wanted us to go and enjoy our vacation while it was fixed. Close to beach plus they have cart to carry stuff to beach. Very close to pool. Family friendly place. 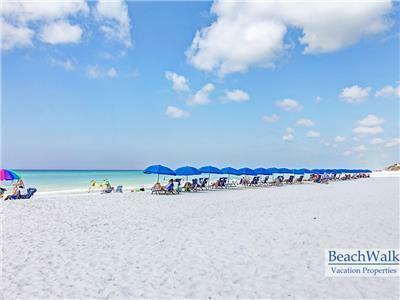 Well stocked with beach chairs and beach toys so you don't have to bring anything. Love it. Washer / dryer sucked ruined some of our new clothes ,don't use it..
We spent a girls weekend here and LOVED it. It was nice and spacious. Beds upstairs were comfortable and the porches were so nice. We had coffee outside each morning and a lazy rainy afternoon sipping wine and reading on the upstairs deck. Had a great view of the rain falling in the swamp! So relaxing. It was a short walk to the beach but doable especially without kids and all the gear that comes along with them. Condo is very pretty and love the colors. We had a great vacation at Cassine Gardens. 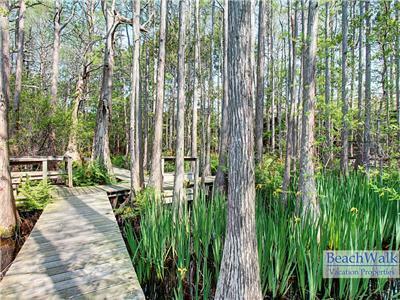 Our condo was very private and looked out into the nature trail. The bunk room with the toys was so cute and greatly excited my girls. The walk to be beach wasn't bad. The pools were small and always a little crowded but that didn't stop us from enjoying them. 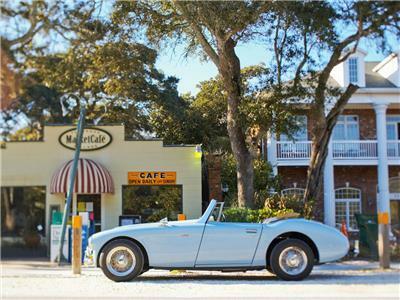 We walked to dinner twice (perfect pig and cafe 30a). No issues with wifi. The space was very accommodating with plenty of storage spaces, closets, and spacious bedrooms. We would definitely come back and stay again! Clean, everything our family needed! My friend and I spent 4 days/3 nights at this property and absolutely loved it! 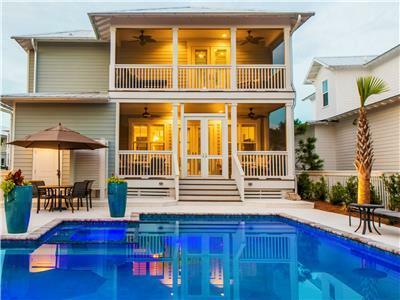 With every rental along 30A being so expensive, we felt like this property was a true bargain. The outside of townhouse is dated, but the inside was adequately updated, incredibly clean, and offered plenty of space for the two of us. 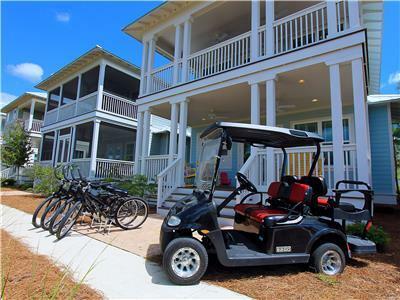 The property is about a 10 minute walk to the beach, but when we stayed, the owners had provided a rolling cart for our use, and it was a lifesaver in terms of trying to transport all of our beach necessities. Literally the only two complaints I have--and they're minor--are that the plumbing seemed a little weak when it came to flushing the two toilets in the townhouse, and that the in-unit washer/dryer combo was very confusing as to how to dry the clothes to the point that I probably won't waste my time attempting to do any laundry the next time we stay there. 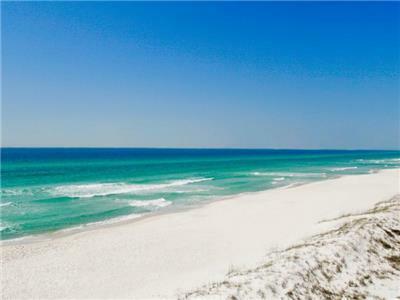 But we will definitely rent this unit again on future trips to 30A! Fantastic! 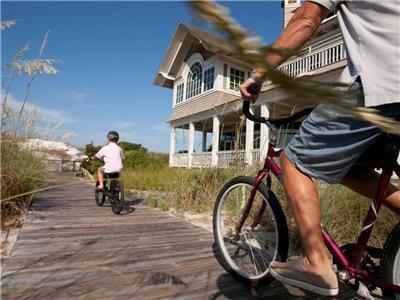 Kid friendly and close proximity to the beach and 11+ miles of single track trail. Great place and the residence was perfect for a family of 5! Thank you! Was as described in the posting. Communication of door code, directions, etc was great. 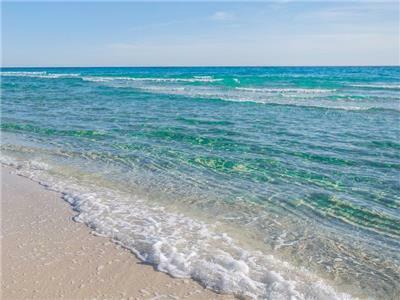 Short walk to beach, about 10 minutes. Pool right across the parking lot. Several beach chairs, toys and umbrella for our use in the storage closet. Was clean and in good condition. The laundry is a single unit for wash and dry cycles. Took awhile to get clothes dry but got the job done. Easy access to restaurants, etc. via bike or walk. 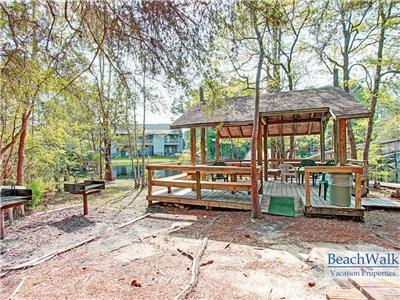 Nice to be near the beach but have a quiet/secluded feel with deck facing woods. We absolutely loved staying here. The location was very central and easy to access. 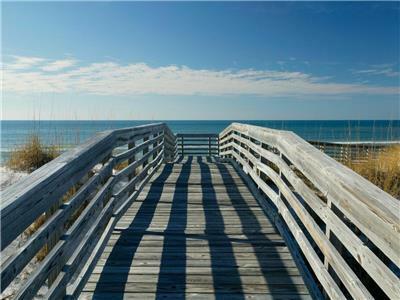 Even though we werent "beachfront" we were so close that we could walk out and be there in a matter of moments. The townhouse was beautiful and clean. Everything we could need was avaliable. Thank you for making our vacation as easy and fun as it could be! 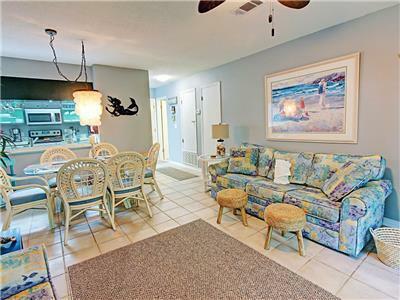 Seaclusion was a wonderful condo, we had everything we needed and then some. It was very comfortable, perfect for a vacation. Beautifully decorated. 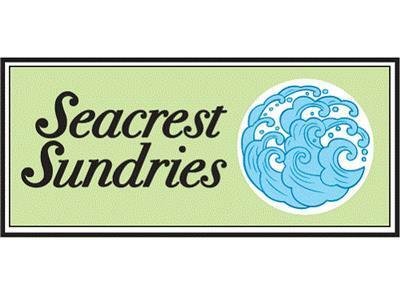 Well stocked with everything from dishes, to linens, to beach toys for children to adults. It was absolutely wonderful and I would highly recommend it to anyone !! This was absolutely the perfect place for our girls get away, bright, fresh, clean, and quiet we could not have asked for more. The nature walk was a unique enjoyable experience, and the beach was just across the street from the entrance. Everyone we came in contact with by phone, at rental store, and while walking around the condos were very friendly and helpful. I would recommend this area, condo and service to anyone. Thank you again for sharing! This is a lovely condo for rest and relaxation. Clean, spacious, very comfortable. Loved the fully equipped kitchen. Easy walk to the beautiful white sandy beach, had several meals at The Perfect Pig. So close to many stores, restaurants, shops. 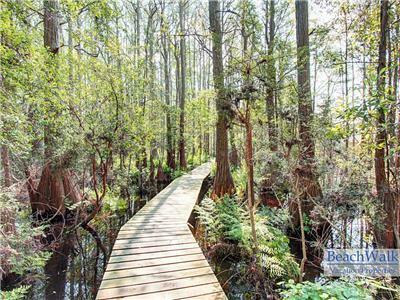 Love the nature trail right behind this beautiful property. 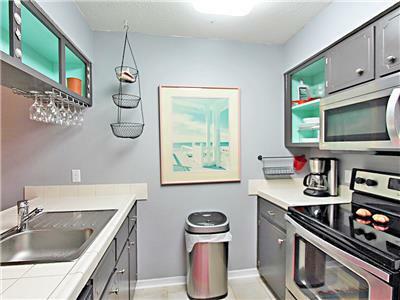 I would definitely recommend this condo to anyone visiting the area. Thank you for sharing your home. I'll be back.